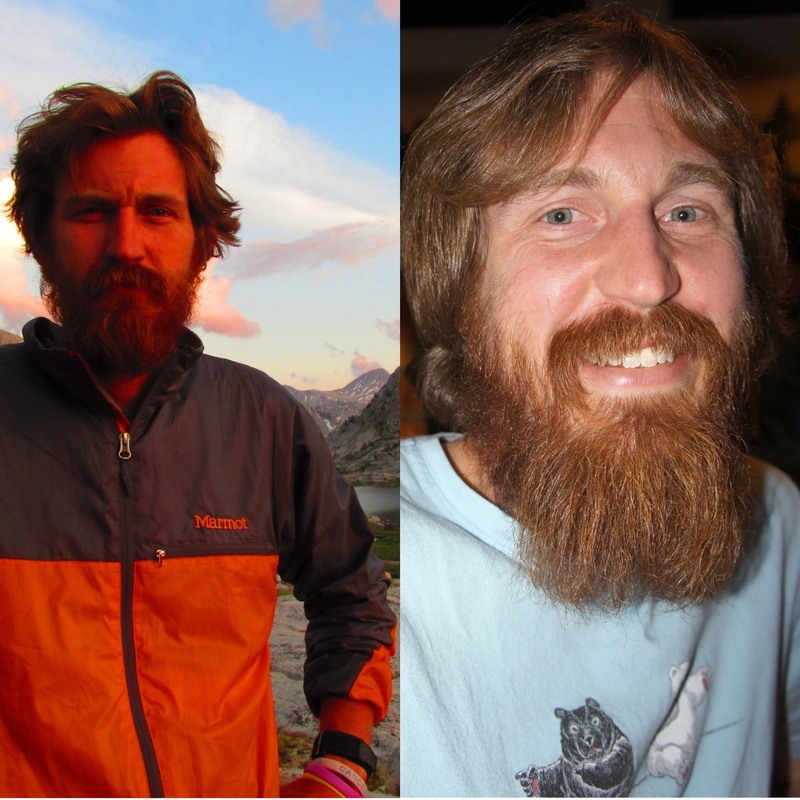 Eric and Manisha’s 152-day PCT journey allowed Eric’s beard to reach its full potential, evidence both in the photo from the trail and the photo from last week when we caught up with him at Vine Street in Denver. Eric, who grew up in Indiana, has always played catch-up when its come to growing his beard in comparison to his father and brothers (in fact, we suspect the real reason he hiked the PCT was to grow that beard out to its full glory). Because his beard takes more coaxing than his brothers’ and dad’s to come to fruition, his family finds it funny that he now constantly is With Beard. Eric blames the sweet Colorado livin’ he’s been privy to the past nine years on the birth of his beard, being first inspired by an impressive telemark skier he encountered with a frosty-beard who blew by him in Vail’s back bowls. Filled with beard (and ski) envy, Eric embarked on a journey to both learn to tele and grow a massive beard. We’re not sure where he’s at with the skiing, but we hope that beard holds up. Eric’s favorite part about his beard are the nicknames he collects from it. Manisha, obviously Eric’s #1 beard fan, nicknamed him Gingerbeard long ago (as if we needed more reasons to love her) and her three nieces call him “Bob the Lumberjack” (neglecting to learn his real name; but who needs real names? It’s important to teach the world’s youth the value of the beard at a young age!) In addition Eric’s been dubbed “Cougar Bait” and “Señor Guapo”. Manisha’s favorite story of Eric’s beard is how he received the nickname “Señor Guapo” whilst on the PCT (which became his trail name). On a rest day, Eric and Manisha were waiting on a trolley in Mammoth Lakes and a 50-ish Mexican named Maria struck up a conversation with them, and asked Manisha if they were married. When she found the answer was no, Maria hit on Eric the entire trolley ride. Upon exiting, she called out “Adios, Señor Guapo!” Manisha firmly believes Eric’s long locks and flowing beard earned him Maria’s affections, and we have to agree. Senor Guapo, indeed! Thanks Eric and Midge!